Land Rover Sat Nav DVD – are they having a laugh? - Which Sat Nav? Home » Sat Nav » Land Rover Sat Nav DVD – are they having a laugh? Having a sat nav should in theory make your life a little easier. Its main purpose is to remove any unnecessary stress from those car journeys. It will basically get you to where you want to go without too much fuss. So why then should an inbuilt sat nav system cause my blood pressure to rise? All I wanted to do was to update the Land Rover Sat Nav Dvd. What on earth could possibly go wrong? Our Land Rover AKA as the Tardis! I have a rather beat up old Land Rover. It’s a great vehicle for large families as it’s practical and spacious. It also has the added bonus of being able to go off-road – great for big kids like me! Come the weekends I can throw the kids, the dogs and any other bits of family paraphernalia into the big silver box and head off to the countryside. 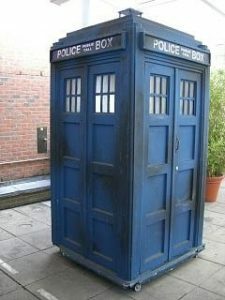 It could very easily be described as a Tardis given the sheer amount of stuff that can be packed into it. 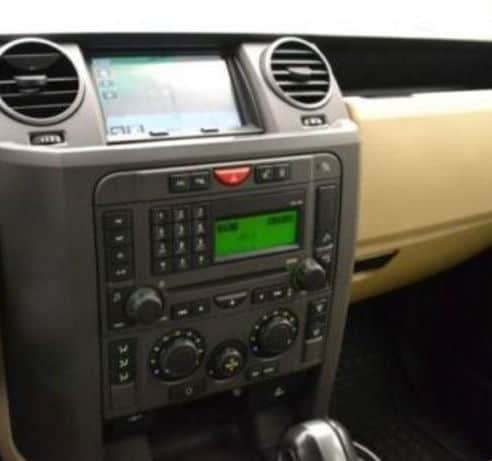 The Land Rover comes with an in-built sat nav system. There is a screen in the recess of the central console area. Its neat, its tidy and it’s hopelessly out of date. This became very apparent last weekend when I found myself being sent through a farmer’s field as part of the ‘route’. Most people would probably say “big deal, it’s a one off,” except that it wasn’t. Unfortunately these type of incidents were happening more and more regularly. In fact, it had become somewhat of a running joke within the family. How many mistakes will the sat nav make today? Admittedly this wasn’t the best basis for a relationship with the GPS. I was beginning to lose my trust in it big time and it was probably almost time for a parting of ways. Never easy but it looked as though it was for the best. However, there was something that could possibly save the relationship. I could update the map database on the unit. That way I would not find myself lost again or worse still fumbling around in the dark trying to find my way. What could possibly go wrong? With the disc in hand I contacted my local Land Rover dealership to be told that there was indeed an updated disk available. Better still the process of updating everything was as straightforward as I had envisaged. Great I said, I’ll be there later this afternoon to pick one up and thought little more of it. When I arrived at the counter to pick up my brand new Land Rover Sat Nav Dvd I realised that the latest disk was for 2012. That’s right, I did say 2012! “But we’re in 2016” I said with more than a little incredulity. The response was simply that “this was the latest map update available”. But the surprise wasn’t quite over yet. That’s because I hadn’t been told the price yet and that was an even bigger surprise – €329. So, for €329 I could get an update for my sat nav. A brand new disk from way back in 2012. Makes perfect sense,right? No, of course it didn’t. Not only was that a crazy expensive price it was also way too old of an update. The fact that the salesman said it was the latest update really did fall on deaf ears. He did however very kindly explain that the update covered millions of road changes. Including all the new junctions, motorway exits, toll roads and an updated Points of Interest list. There were 4 DVDs in the box and the whole of Western and Eastern Europe were covered. I’ll be honest I just really wasn’t digging all of this. The way I saw it there were four options available to me. Do Nothing – Leave the dealership without buying the Land Rover sat nav DVD saving myself plenty of cash. I would be left with more money in my wallet and would be keeping a rather dated sat nav. Buy The Land Rover Sat Nav DVD – I’d have Land Rover’s most up to date maps but, c’mon, there’s no way I could spend that much money on a 4 year old update. It’s just couldn’t happen. Aftermarket Option – these are dvd’s that are available online at a fraction of the price. They are not original and are definitely not legitimate. There is also the question of reliability as they are essentially just a mash up of different maps on a disc. I’m just not convinced that what you get will work that well in the long run. It could even end up causing more frustration. Just Buy A Sat Nav Device – this is the simplest and most cost effective option. It will also mean that the device will have the latest maps installed and should come with real time traffic information. I would probably go for something along the lines of the Garmin DriveAssist. It’ll also certainly cost less than the price of the 4 year old update from Land Rover. After a whole lot of consideration, well ok about all of 27 seconds I made my decision. The option of doing nothing really wasn’t on the table. I mean the whole reason I went looking for an updated DVD was because I was fed up of being sent on some wild goose errands with the sat nav. The option of paying three figures for a 4 year old official update was never going to be a runner – I just hate paying too much for anything! Purchasing an aftermarket DVD wasn’t going to work either. I needed reliability in a sat nav. It needs to do what it says on the tin i.e. get me to my destination. That then leaves only the final option as the most viable choice. I was going to a purchase a portable sat nav. 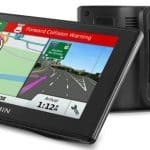 I decided to buy the Garmin DriveAssist over at Amazon. It was cheaper, portable came with fully updated maps, real time traffic updates and a forward facing in-built dash cam. In hindsight, it really wasn’t too difficult a decision. Was it? 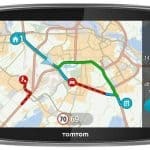 TomTom Go 6100 Review - Should You Buy It? You need your bumps feeling for buying a Land Rover in the first place lol…..